Imagine this. You’re vacationing with your family in a city you’ve never visited before. You’ve just caught a show, and now it’s time to grab a bite to eat. You’re an out-of-towner, like Dorthy in Oz, so you flip out your phone and consult Siri: “family restaurants nearby”. The next five minutes are spent reading reviews on Yelp, Google, Facebook, and TripAdvisor. Which local spot are you going to choose? If you’re like most consumers, you’re looking for a restaurant with a reliable number of 5-star ratings and trustworthy reviews from satisfied customers. In other words, you’re looking for businesses that have a good reputation. Now, think about what that means for you as a business owner. What do customers see when they google your business or ask Siri for recommendations in your industry? Reputation management is the process of strategically crafting a favorable online presence for your brand. It involves regularly monitoring, addressing, and shaping the conversations that customers are having about you on the internet. And, despite what some small business owners think, reputation management is not just the cherry on top of internet marketing. It is an essential part of any campaign aimed at boosting your local SEO and promoting your brand. 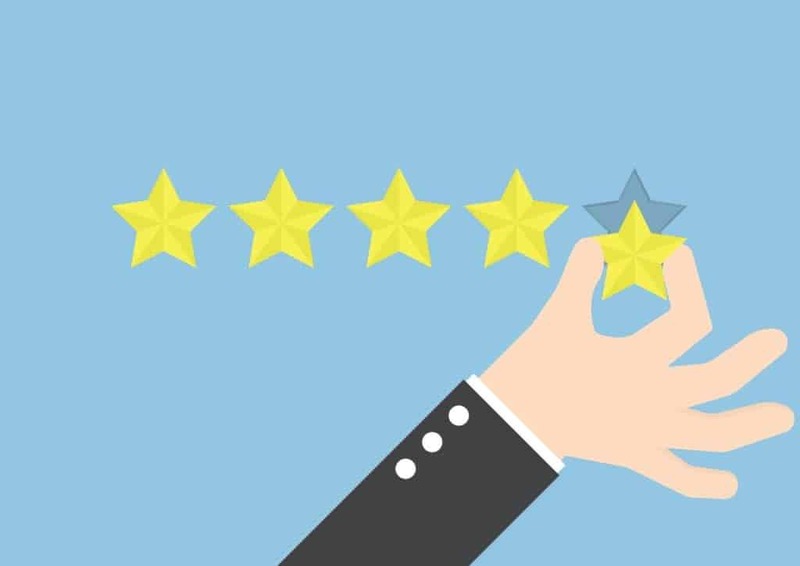 Not only will good reviews help you rank higher in search engines, but they’ll make you stand out from your competitors and help steer consumers to choosing you instead of the other guys. While many elements make up a proper reputation management campaign, you can focus on two simple goals to garner immediate success: acquire positive reviews and manage the negative ones. According to the BrightLocal 2017 Local Consumer Review Survey, 85% of customers put as much faith in online reviews as they put in personal recommendations. You already know how important word of mouth advertising is to bring in new clients, but with the rise in social media, online conversations are holding more and more weight every day. So it’s time to up your review count, and you can’t just wait around for the reviews to come flooding in. Today’s customers are busy multi-taskers, always rushing from one engagement to the next. The good news is that BrightLocal’s survey also found that 68% of customers will leave a review if you ask them to. All you need is a solid review acquisition strategy in place as part of your standard operating procedures. Even if only 1 in 5 of the customers targeted for reviews leave one, you’ll be standing out on Google and Yelp in a matter of months. According to Vendesta, a single 1 or 2 star rating could cause a whopping 86% of customers to take their business elsewhere. The good news is that most people don’t read more than six reviews online before making a decision. This means that all you have to do is try to bury the bad reviews with good ones. With strong customer service and a clear review funnel in place, you’ll always have positive reviews coming in. A properly designed review management strategy should also include proactive steps to intercept dissatisfied customers before they can hurt your online reputation. When bad reviews do happen, respond to them honestly and professionally, without trying to dodge the blame. A well-worded response to a negative review could help convince a future customer of just how professional your company is. While it might get more complex down the road, getting your local SEO reputation management strategy underway isn’t rocket science. Just bring in the positive reviews and take care of the negative ones. If you don’t know exactly where to get started, try our free Review Scan to get an instant report of where your business’s reputation stands.